Norman, Dorothy. 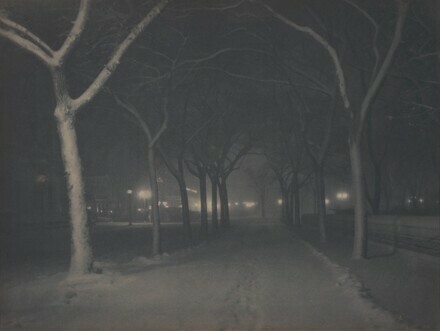 "Alfred Stieglitz: Visionary Photographer." Art in America 46 (Fall 1958): 53. Greenough, Sarah, and Juan Hamilton. Alfred Stieglitz: Photographs and Writings. Washington, 1983: no. 27. Greenough, Sarah. Alfred Stieglitz : The Key Set : The Alfred Stieglitz Collection of Photographs. Washington, 2002: vol. 1, cat. 257.